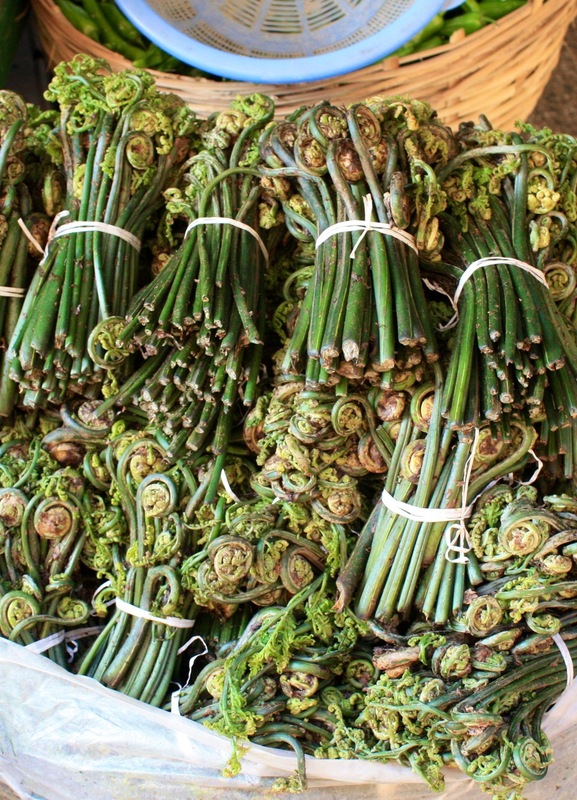 Yes, you’ve got it, these are young fern fronds, otherwise known as fiddleheads or, here in Bhutan, as ‘Nakey‘. They are either fried as a side dish or cooked and eaten with meat and chillies, the ubiquitous ingredient in Bhutanese cooking. Sold alongside long spears of asparagus, they are said to have a similar texture. As for taste, I’ll just have to find out……. They look delicious! Any good for sunburn?